Are you tired of suffering from chronic back and neck pain? If so, by searching for Peterborough Chiropractic, you might finally be on your way to discovering better wellness and mobility. This is because at our health and wellness centre we help eradicate lower back and neck pain permanently, and much more effectively than many of our patients have ever previously thought possible. If you do suffer from chronic back, neck and general musculoskeletal discomfort, you likely presently manage your condition by using pain relief medication and perhaps even dedicated physiotherapy sessions. Sadly, the problem with such conventional treatment approaches lies with the fact that such treatment plans will rarely (if ever) address the true cause of your discomfort. Instead, pain relief medication especially will simply mask your symptoms whilst placing gradual (and completely unnecessary) stress on your liver and kidneys. Thankfully, a chiropractor in Peterborough such as ourselves can help you realise faster and more effective pain relief by addressing the underlying cause of your chronic pain directly. We believe that prevention is always better than any cure and with this being the case, we do everything we can to stop pain in its tracks, whilst simultaneously working to prevent problems from becoming even more debilitating as time passes. The human spine is made up of 24 individual vertebra and thousands of muscle and nerves, all of which can become inflamed, misaligned, and unnaturally compressed as we age. 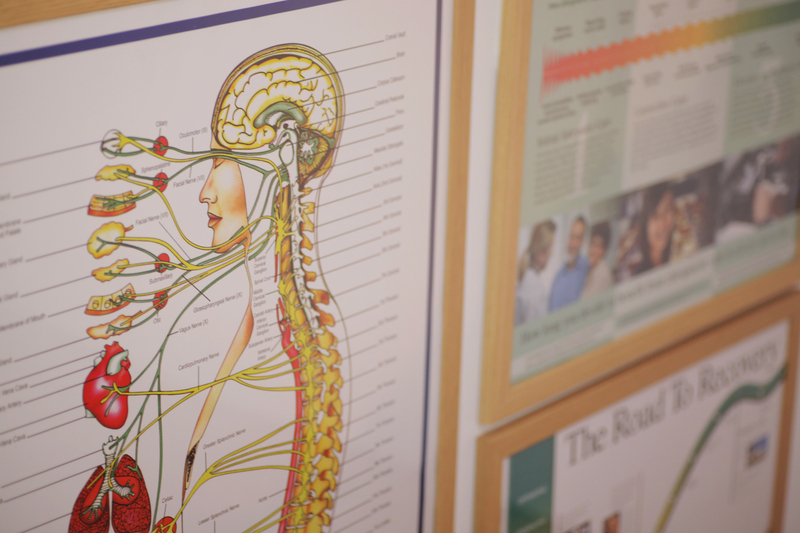 Rather, however, than just treat pain associated with such imbalances, a chiropractor in Peterborough such as ourselves can carry out manual chiropractic adjustments which can help encourage total and natural healing of the back, neck, and central nervous system itself. At the Peterborough Chiropractic Health & Wellness Group, we treat you just as professionally and as contentiously as you would expect to be treated by your regular GP. If this is to be your first time visiting a chiropractor in Peterborough you can be assured that we will carry out everything from legitimate laboratory testing, to full X-ray imaging in order to diagnose the true cause of your chronic pain or discomfort. Even better, our treatment plans and chiropractic adjustments are proven to provide lasting and effective pain relief for everything from chronic lower back pain to recurrent migraines and tension headaches. When visiting a chiropractor in Peterborough, it is easy to feel like you are being forced to choose one form of treatment over another. Thankfully we’re different. This is because we never attempt to undermine standing professional medical diagnoses or existing professional treatment plans. Instead, our chiropractic adjustments and treatment plans can be used in tandem with conventional medicine in order to provide you with the best chances possible when it comes to alleviating the pain and discomfort associated with your current condition.